Sandalwood has a nutty, woody fragrance and has been used for centuries for its calming effects. The skin buffing agents of espresso coffee beans are perfect for all skin types and exfoliates and polishes leaving the skin glowing from head to toe. Our Fresh Non-GMO Goats Milk provides moisture and all the essential fatty acids needed to maintain fit and healthy skin. Use daily as a moisturizing face and body bar. Provides relief for sensitive and aging skin. Enjoy the benefits of our fresh non-GMO goat milk base providing your skin with anti-aging alpha hydroxy acids. Helps relieve skin inflammation, soothes dry damaged skin, breaks down dead skin cell bonds, and removes old skin cells leaving new cells on the surface that feel and appear smoother and more youthful. 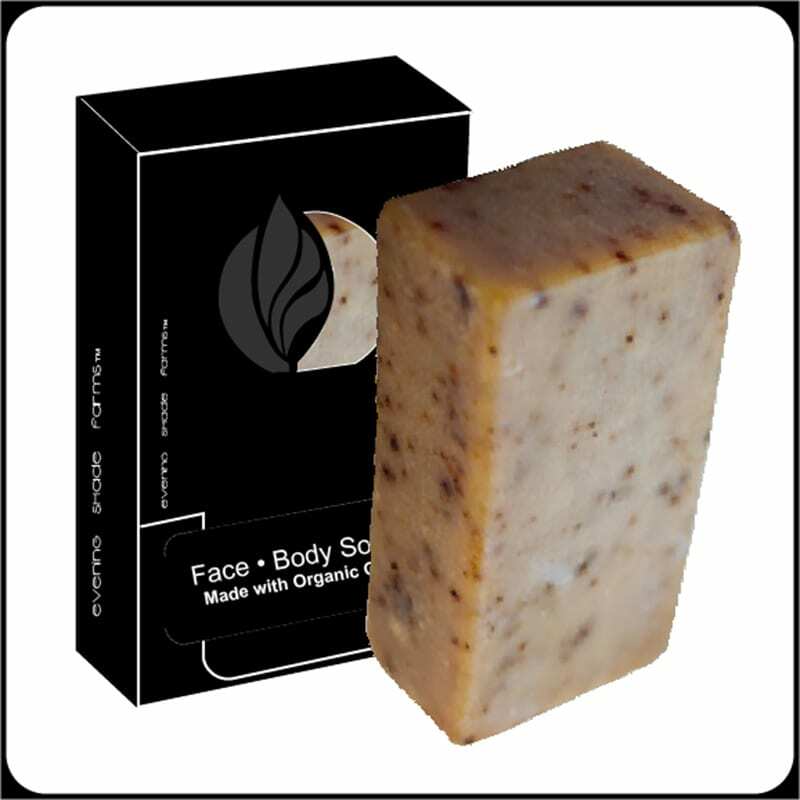 If you like Sandalwood Espresso Soap, you may also like Frankincense & Myrrh Soap which also contains Espresso!